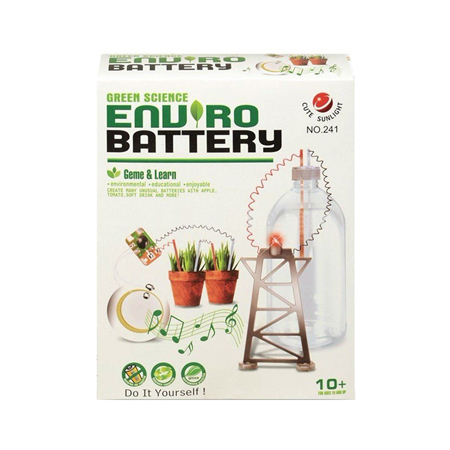 Green Science Enviro Battery is a kit to let your kids building things with their hands. 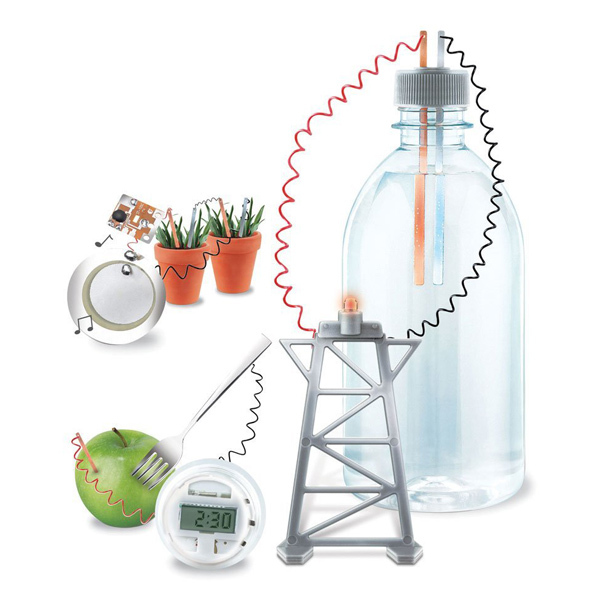 Your kids will learn the science behind the Power! Enviro-Battery uses natural materials like mud, lemons, and water to power a light bulb, a watch, and activate a music chip. 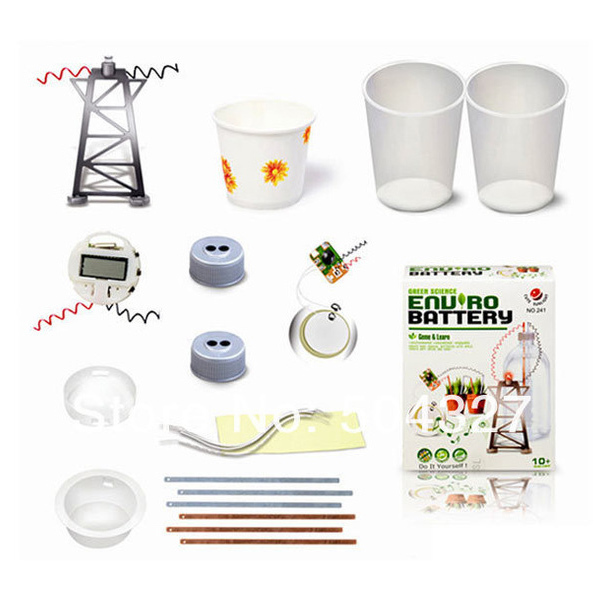 Amazing, environmentally friendly science kit that includes detailed instructions so your kids can create many unusual batteries with fruit juices, vegetables, coins, utensils, and more! Made with Zinc, Copper and Paper Cup. Kit box made with recyalable paper. The goal of making an environ battery is turning chemical energy into electrical energy, creating enough electricity to power a small LED light or a watch. You can also use limes, oranges, potatoes or other acidic foods. This experiment can be educational for children, with adult supervision. Please Note: Some items from home are required to complete the experiments - not included. Food or beverages used in these experiments are not edible. Please dispose them immediately after use.